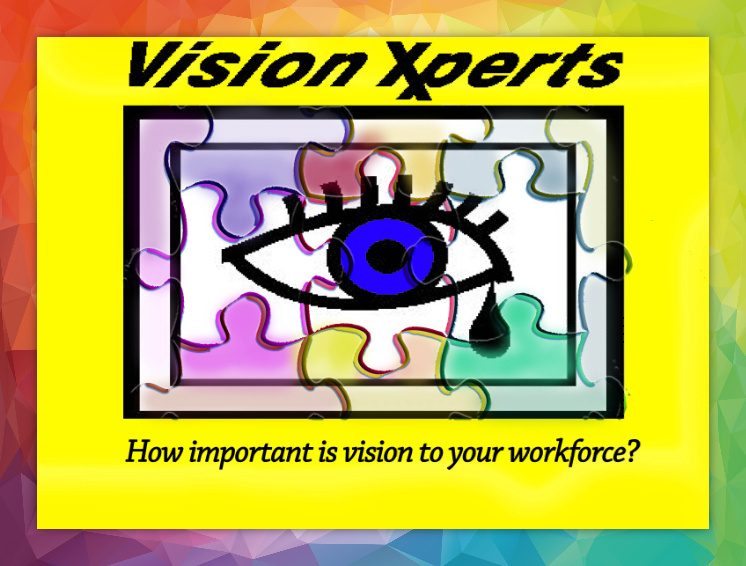 Vision Xperts specializes in prescription safety glasses and computer ergonomics. We offer convenient on site and teleconference services for all shifts. Our 100 + safety frame inventory addresses all ethnic fitting requirements and non- conductive issues. Our Wellness Programs in our exclusive Lunch and Learn Sessions will help employees avoid an injury and for you; unnecessary insurance costs. We’ll share proven strategies so you can reduce your healthcare costs. When I am called to help an employee who’s experiencing physical difficulties repeatedly I will observe the same ergonomic missteps. Overworking the human body by avoiding good computer ergonomics ultimately leads to the day when discomfort becomes pain. Follow the guidelines we recommend to avoid the physical discomforts associated with computer use. Remember repetitive stress injuries are cumulative.